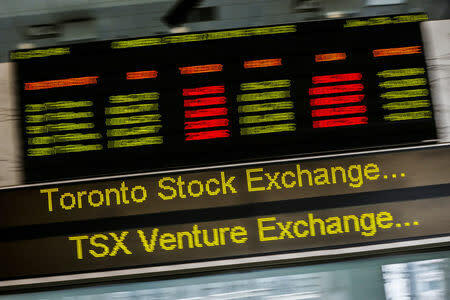 (Reuters) - Canada's main stock index gained on Monday, helped by gains in energy shares on the back of higher crude prices. * The largest percentage gainer on the TSX was Hexo Corp, which rose 4.7 percent after brokerage Cormark Securities upgraded stock to "buy" from "speculative buy". * Across all Canadian issues, there were 49 new 52-week highs and four new lows, with total volume touching 36.28 million shares.